Art Ensemble of Chicago - "New York Is Full Of Lonely People"
This week, let's take a look at some videos featuring saxophonist Boney James, who's coming to St. Louis to perform next Friday, April 26 at The Pageant. Born in Massachusetts, James was raised in upstate New York,then Los Angeles, and attended UCLA, where he earned a degree in history. After graduating, he got into the music business in the mid-1980s as a sideman, playing saxophone and keyboards in support of R&B and funk performers including Morris Day, the Isley Brothers, Bobby Caldwell, Randy Crawford, Teena Marie, and others. James released his first album as a leader on a small independent label in 1992, which led to him being signed to Warner Brothers records a couple of years later. His time at Warners established him as a headliner and festival and major venues in the USA and around the world, with three of his albums for the label earning gold records. In all, James has put out 16 albums, the most recent being 2017's Honestly, and earned four Grammy nominations as well as a number of other awards along the way. He last performed here in St. Louis in July 2018 as part of the Gateway Jazz Festival at Chesterfield Amphitheater. After the jump, you can see three more performances from that show, starting with "Butter," then "On The Prowl," and finally, an excerpt in which James fakes out the audience with a brief snippet of Grover Washington Jr.'s "Mister Magic," then segues directly into "Batucada," featuring a solo by drummer Omari Williams. Next, there's a version of "Tick Tock," recorded in October 2018 at a show in Newport Beach, CA, followed by an extended excerpt from James' set at the 2017 San Diego Smooth Jazz Festival. For more about Boney James and Honestly, read his 2018 interview with AXS.com and his Q&A from 2017 with artsnla.com. * Pianist Peter Martin is doing an "Ask Me Anything" Q&A session at 2:00 p.m. Central time today (Friday, April 19) via the Facebook page of his company Open Studio. * Singer Denise Thimes (pictured) has been chosen for the cast of The Black Rep's upcoming production of Nina Simone: Four Women, a play-with-music by Catherine Ham that will run Wednesday, May 15 through Sunday, June 2 at the Edison Theatre on the Washington University campus. * Drummer and educator Bernard Long Jr. has received the St. Louis Suburban Music Educators Association Certificate of Merit Award for his work as band director at Normandy High School. * Saxophonist Dave Stone's upcoming move to Oregon is detailed in a feature story by the Riverfront Times' G.M.H. Thompson. 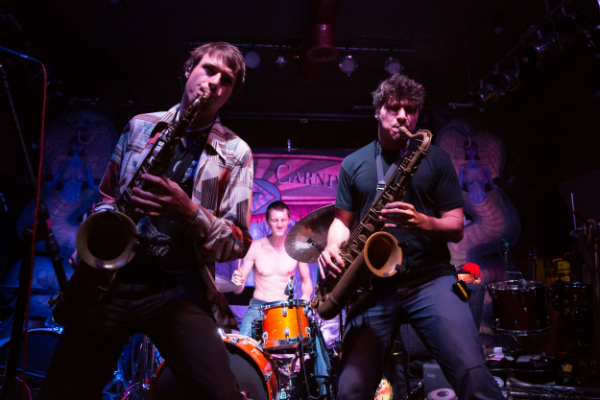 Stone's trio will play their final gig at their longtime home Mangia Italiano tonight. * Bassist Bob DeBoo's recent serendipitous find of a sitar, seemingly in working condition, in an alley near his south St. Louis home is recounted in a brief St. Louis magazine feature by Thomas Crone. * Pianist and St. Louis native Tom McDermott, who's made his home for many years in New Orleans, has a new album, Tom McDermott Meets Scott Joplin, out this month on the Arbors label. * Last weekend's Greater St. Louis Jazz Festival was the subject of a story on the University of Missouri-St. Louis' official blog UMSL Daily. * This year's local celebration of Record Store Day was spotlighted in a feature story by HEC-TV's George Sells. * On The Corner Live! The Music of Miles Davis, the new release featuring an all-star band gathered by saxophonist and former Davis sideman Dave Liebman, was reviewed in Jazz Journal and Jazz Times. * If you've been wondering what's happening with seemingly-defunct music festival LouFest's legal battle with their former sound and lighting contractors Logic Systems, there's an update via a story in the trade publication Projection Lighting and Staging News by St. Louis writer and musician Kevin Mitchell. * The deadline for local student musicians in grades 6-12 to apply for Jazz St. Louis' JazzU program for the 2019-20 school year is next Friday April 26. Audition and application details are online at https://jazzstl.org/education/jazz-u/2019-20-jazzu-auditions/. * And in a related story, current JazzU student Joanna Serenko, a singer, guitarist and senior at Kirkwood High School, last week was announced as the winner of this year's St. Louis Teen Talent Competition sponsored by the Fox Performing Arts Charitable Foundation. This week's calendar of live jazz and creative music in St. Louis includes events celebrating the music of two of the most important improvisers in jazz, an evening of smooth jazz in a historic concert venue, and more. 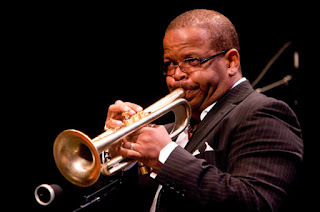 Jazz St. Louis ends their "Whitaker Jazz Speaks" series for the 2018-19 season with a program about Louis Armstrong's Hot 5 and Hot 7, featuring a talk by noted Armstrong expert Ricky Riccardi followed by a live performance of some of the music recorded by the trumpeter's early groups. Also on Wednesday, the Route 66 Jazz Orchestra performs at the Ozark Theatre, and Cabaret Project of St. Louis presents their monthly "Singers Open Mic" , relocated for this month only from Sophie's Artists Lounge to The Dark Room. The Jazz at Holmes series at Washington University wraps up for the semester with a free concert featuring Wash U jazz performance students playing the music of Charlie Parker, Wayne Shorter, Miles Davis, Bill Evans and more. Elsewhere around town, singer Erin Bode returns to Cyrano's, and saxophonist Andy Ament leads a trio at The Pat Connolly Tavern. 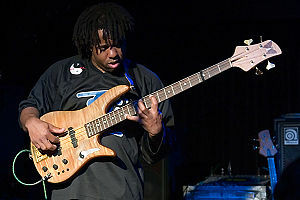 Bassist Julian Vaughn (pictured, top left) headlines a concert of smooth jazz at The Sheldon, with saxophonist Phil Denny and keyboardist Mark Harris II also on the bill. 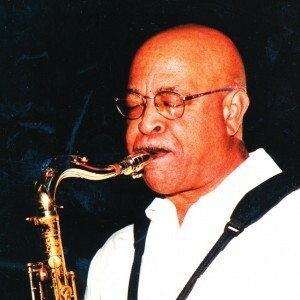 Also on Friday, saxophonist Freddie Washington (pictured, bottom left) and pianist Adam Maness' trio will be "Celebrating Coltrane" for the first of two nights at Jazz St. Louis; and saxophonist Dave Stone plays the final gig of his long-running residency at Mangia Italiano before his upcoming move to Oregon. Keyboardist Mo Egeston and friends play the late show at The Dark Room. Miss Jubilee performs for brunch at Evangeline's, while singer and guitarist Tommy Halloran returns to The Dark Room. 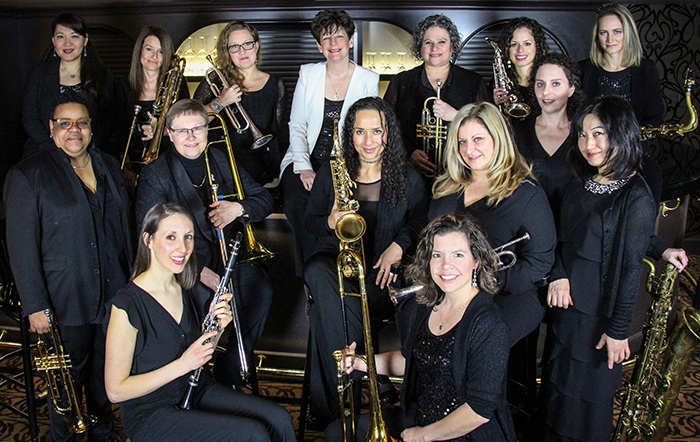 The Webster University Jazz Singers, directed by Debby Lennon, will perform in their final concert of the semester at Winifred Moore Auditorium on the Webster campus. Dizzy Atmosphere plays vintage swing and Gypsy jazz at Evangeline's. For more jazz-related events in and around St. Louis, please visit the St. Louis Jazz Notes Calendar, which can be found on the left sidebar of the site or by clicking here. You also can keep up with all the latest news by following St. Louis Jazz Notes on Twitter at http://twitter.com/StLJazzNotes or clicking the "Like" icon on the StLJN Facebook page. 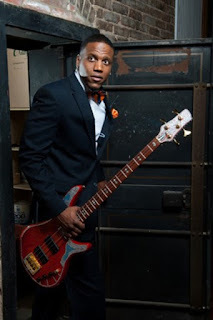 This week, let's take a look at some videos featuring percussionist and vocalist Pedrito Martinez, who's coming to St. Louis to perform Wednesday, April 24 through Sunday, April 28 at Jazz St. Louis. Martinez, 45, was born and raised in Havana, Cuba, where he learned to play popular Cuban styles as well as Afro-Cuban folkloric and religious music on a variety of percussion instruments. He came to the U.S. from Havana in 1998, and over the past 20 years has compiled an extensive resume of credits with well-known musicians in several genres. In all, Martinez has contributed to more than 50 recordings as well as live performances by jazz musicians including Wynton Marsalis, Paquito D'Rivera, Steve Turre, Bill Summers, Cassandra Wilson, Joe Lovano, Brian Lynch, Stefon Harris, Jane Bunnett, Eliane Elias, Stefon Harris, Gonzalo Rubalcaba, Conrad Herwig, Eddie Palmieri, Esperanza Spalding, and Los Hombres Calientes. He's also lent his talents to rock and pop performers including Bruce Springsteen, Paul Simon, James Taylor, Sting, Angélique Kidjo, Edie Brickell, Rubén Blades, and Elton John. 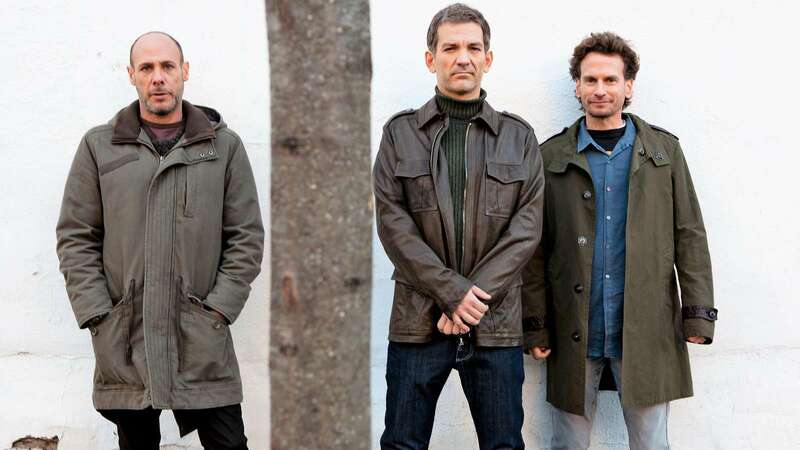 Before starting his own group, Martinez was a founding member of the band Yerba Buena, which released albums in 2003 and 2005, and he's also is a member of Jazz at Lincoln Center's Nuevo Jazz Latino program. More recently, Martinez earlier this year teamed up with pianist and fellow Cuban Alfredo Rodriguez on an album called Duologue, a collaboration that actually got started here in St. Louis when the two played a duo gig in February 2017 at Jazz St. Louis. That was Martinez's second gig at the Bistro, having previously brought his group here for a two-night stand in May 2015. The Pedrito Martinez Group, which began in in 2005, has put out two albums to date, releasing their first recording in 2013, and the follow-up Habana Dreams in 2016. Along with Martinez on percussion and lead vocals, the group includes Sebastian Natal on bass and vocals, Jhair Sala on percussion and vocals, and Issac Delgado Jr. on keyboards and vocals. You can see and hear them in action in the first video up above, an NPR Music Tiny Desk Concert recorded just a couple of months ago. After the jump, you can see and hear three selections recorded in 2018 at Galeria Cafe Libro in Bogota, Colombia: "La Luna," "Amor de Mi Vida" and "Yo Si Quiero Estar Contigo." Next up is a video performance of "Recuerdos," recorded in August 2018 at a gig in Bologna, Italia. Finally, you can get a close-up look at some of Martinez' techniques via a brief instructional video released earlier this year by The Drum Channel. For more about Pedro Martinez, read his 2016 interviews with Afropop.org and Billboard. The Sheldon Concert Hall's just-announced 2019-20 season will include four concerts featuring touring artists in a newly renamed "Rhythm and Jazz" series, plus various local jazz performers as part of its mid-week "coffee concerts" and Saturday matinee series. 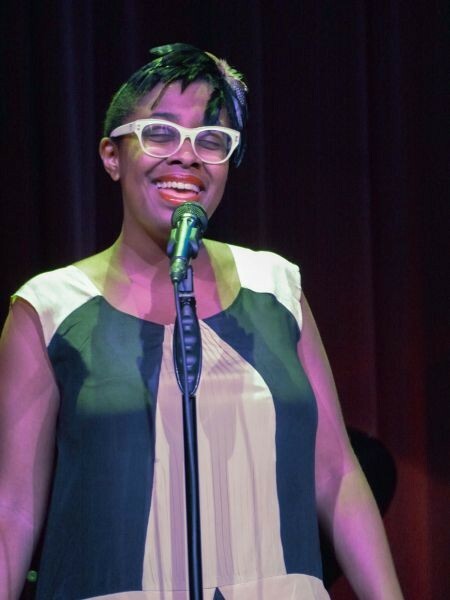 Singer Cécile McLorin Salvant (pictured) will be the first jazz artist to perform next year, kicking off the series with a concert on Saturday, October 5. Salvant will be followed by the NYC-based band Mwenso & the Shakes with guest singers Brianna Thomas and Vuyo Sotashe and dancer Michela Marino Lerman on Saturday, November 9. 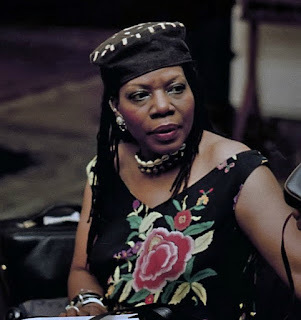 Though perhaps not as well-known as many of the other acts booked for next year, the Shakes have earned a following in New York with late night sessions at Dizzy's in Jazz at Lincoln Center featuring a mix of jazz, blues, R&B, and other genres. After that, the new year will bring pianist Christian Sands’ trio in a tribute to Errol Garner on Saturday, February, followed by the SFJAZZ Collective, who will perform on Saturday, March 14 with a program drawing on music from two albums released 50 years ago, Miles Davis' In a Silent Way and Sly and the Family Stone's Stand. The current edition of the Collective's ever-evolving lineup includes trumpeter Etienne Charles, tenor saxophonist David Sanchez, vibraphonist Warren Wolf, pianist Edward Simon, guitarist Adam Rogers, bassist Matt Brewer, and drummer Obed Calvaire, plus vocalist Martin Luther McCoy. The Sheldon's mid-morning "coffee concerts" for the 2019-20 season will include singer Kim Fuller and pianist Carolbeth True on Tuesday, October 5 and Wednesday October 17; guitarist and singer Tommy Halloran’s Guerilla Swing on Tuesday, November 12 and Wednesday, November 13; pianist Adam Maness' trio doing a tribute to Dave Brubeck on Tuesday, January 28 and Wednesday, January 29; and non-subscription performances by Miss Jubilee on Tuesday, April 21 and Wednesday, April 22. The Saturday matinee series will offer performances by singer Feyza Eren in a Valentine's Day themed show on Saturday, February 13, and The 442s on Saturday, May 9. Finally, programs designated as "special concerts" will include the annual Friends of the Sheldon Benefit, which will feature trumpeter Arturo Sandoval and singer Jane Monheit on Saturday, October 26; and a performance by The 442s on Wednesday, October 30. Subscription tickets for the Sheldon's various 2019-20 series will go on sale next month, with single tickets for most concerts available starting at 10:00 a.m. Saturday, August 10 via Metrotix. * Trumpeter Keyon Harrold was among the featured performers at "A Great Night in Harlem," held recently at the Apollo Theater to honor singers Harry Belafonte and Tony Bennett and to raise funds for the Jazz Foundation of America. DownBeat's article about the evening includes a quote from Harrold, who, along with fellow trumpeter Wallace Roney, performed "Grazing In The Grass" as a tribute to the late Hugh Masekela. * Harrold also has been tapped as a member of New Masters, “a rotating ensemble of today’s leading, up-and-coming and established jazz musicians” assembled by Sony Music Masterworks to record jazz interpretations of contemporary hits "originally performed by the likes of Cardi B, Drake, Kendrick Lamar, and SZA." The group, which also includes pianist Sullivan Fortner, drummer Eric Harland, guitarist Gilad Hekselman, bassist Burniss Earl Travis, saxophonist Immanuel Wilkins and percussionist Bashiri Johnson, will release their debut album ReWORKS Volume 1 on Friday, July 12. * "Why Jazz Still Matters" is the title of an article in the spring 2019 issue of Daedalus magazine co-authored by Washington University professor Gerald Early with Ingrid Monson, professor of African American Music at Harvard University. * Seven musicians who worked with Miles Davis during the trumpeter's electric period, including bassist Michael Henderson, saxophonists Dave Liebman and Gary Bartz, and drummer Lenny White, talked about their experiences at a Jazz Congress conference panel this past January in NYC, which now has been transcribed for an article in Jazz Times. 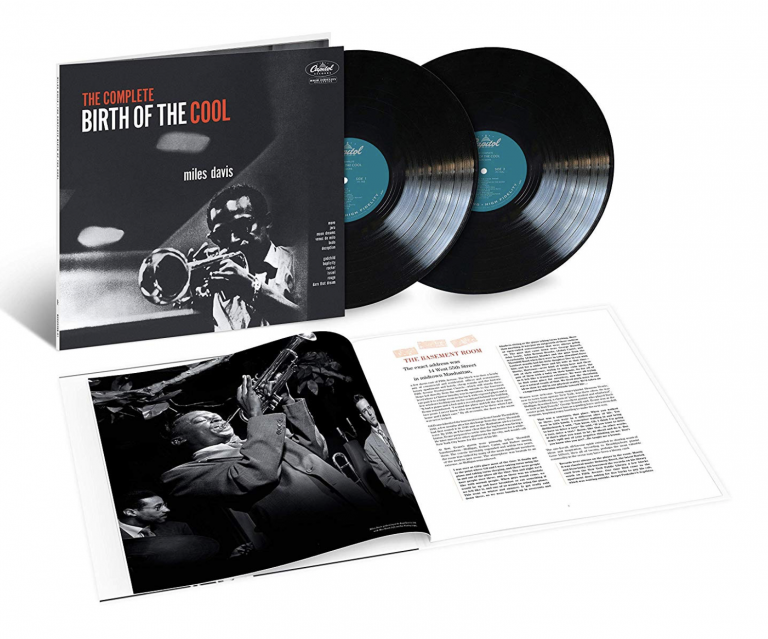 * In more Davis news, the trumpeter's landmark album Birth of the Cool will be re-released in a deluxe 70th anniversary edition (pictured) on Friday, May 17. The vinyl and digital set will include the complete studio and live recordings made in 1949-50 by Davis' nine-piece ensemble. * Lastly, in a story published on April 1 by the Alton-area weekly Riverbender, Davis' ghost is credited with saving the lives of three area residents in separate incidents. * Trumpeter Clark Terry's mentoring of young musicians, particularly pianist Justin Kauflin, is the subject of a recent article in Vail Daily. * In an article in the Edwardsville Intelligencer, vibraphonist Lee Roth credits the sounds of radio station WSIE with helping him recover from recent brain surgery. * Jazz St. Louis, The Dark Room and Broadway Oyster Bar are among the spots mentioned in a Post-Dispatch feature about local venues offering "dinner and a show."